Whilst running his own successful business for many years Dom was spotted by Channel 4's 'Faking It' and asked to train a vicar to become a successful sales negotiator. The vicar passed an on screen test first time, beating many well-experienced salespeople at their own game. This led onto the birth of Wrong Car, Right Car a highly successful BBC 2 series where members of the general public were taught and assisted in dealing with the buying and selling of cars at dealerships with Dom's help. Due to his tenacity for tackling companies and cowboy tradespeople and his passion for solving consumer problems he currently has one of the busiest schedules in TV. After investigating and reporting on many companies and rogue traders Dominic has an extensive knowledge on their tricks, scams & cons used each day by unscrupulous scam artists. His programmes include Cowboy Builders (now in its 10thseries), 'The One Show, since day one of launch, Don't get Done, get Dom (currently in its 8th series), Saints & Scroungers, Fake Britain, Beat the Burglar etc. Dominic was born by the coast in Leigh on sea, Essex and amongst his many hobbies are water skiing, sailing, scuba diving, wake boarding, knee boarding and snow skiing. He thrives on all challenges and after competing in the BBC's first ever Celebrity Total Wipeout in Argentina, was narrowly beaten to 2nd place by just 1 second. He took part in BBC1's Strictly Come Dancing series 7 and made it through to the sixth round but gladly admits dancing was never going to be his forte. Always up for a challenge he competed the 2014 RideLondon 100 mile cycle race for the charity 'Bliss' in an amazing 5 hours 31 minutes. Dominic has been a type 1 diabetic for 38 years and has witnessed many changes in the NHS and medical procedures relating to his condition and regally gives talks on the subject. After an accident on a remote island in Australia while back packing around the world aged 25 he broke his neck, Dominic then made his own 28 hour journey to hospital where he underwent a spinal fusion and went on to make a full recovery. 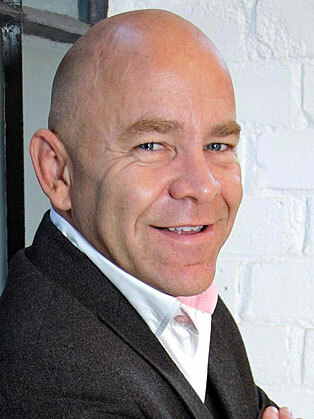 He wrote a monthly column for Top Gear magazine for many years and also for various magazines & newspapers including, The Telegraph and the UK's number one diabetic magazine Balance and his own book titled Don't get Done, Get Dom which gives consumer advise to the public.